This home’s previous kitchen, though still in good condition, was outdated and a little too beige. 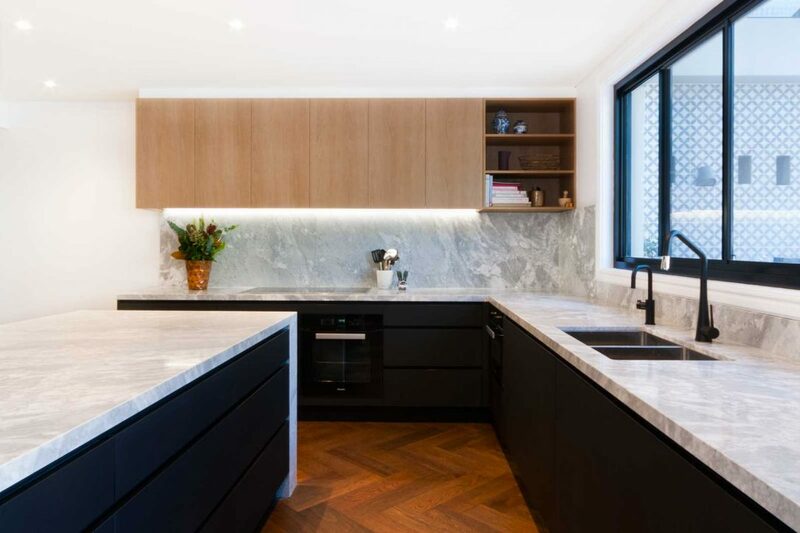 Ensuring the new kitchen fitted in seamlessly with the home’s existing aesthetic was a design consideration that played an important role in the renovation’s end result. 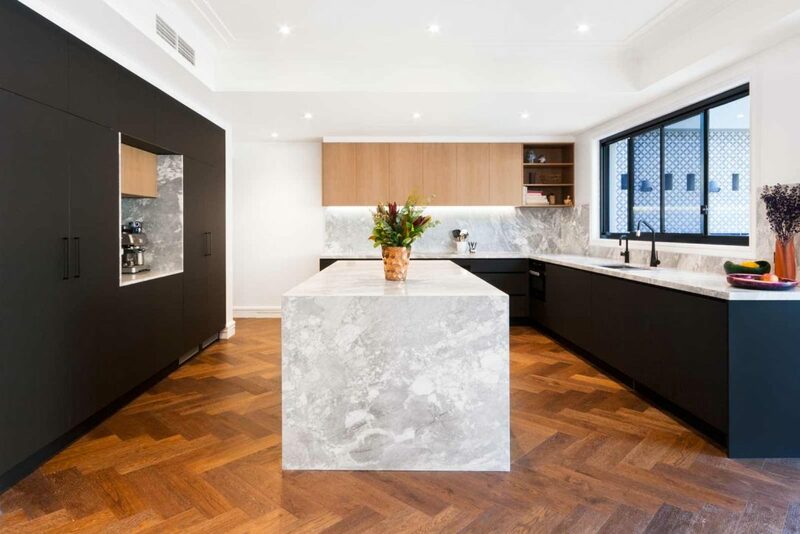 Prior to the renovation, the homeowners had replaced the original floors with beautiful timber boards in a herringbone pattern. 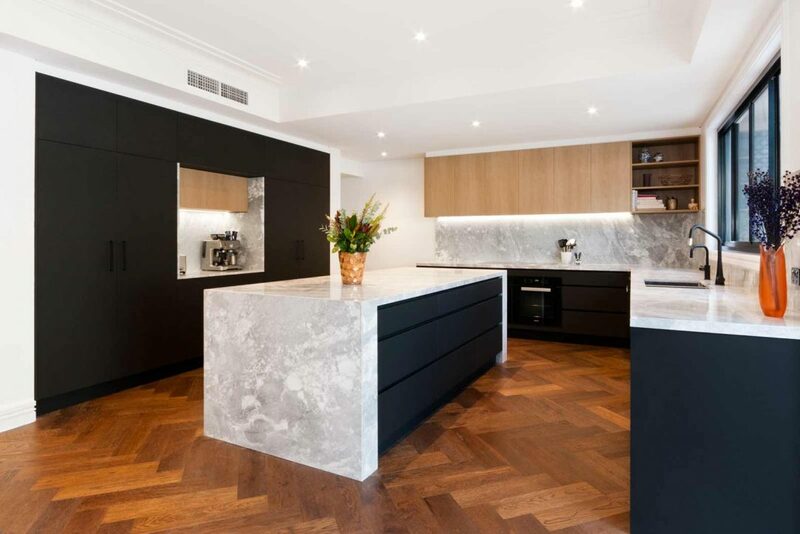 The matt black finishes juxtapose the flooring beautifully and further timber elements were added to the space to soften the look. 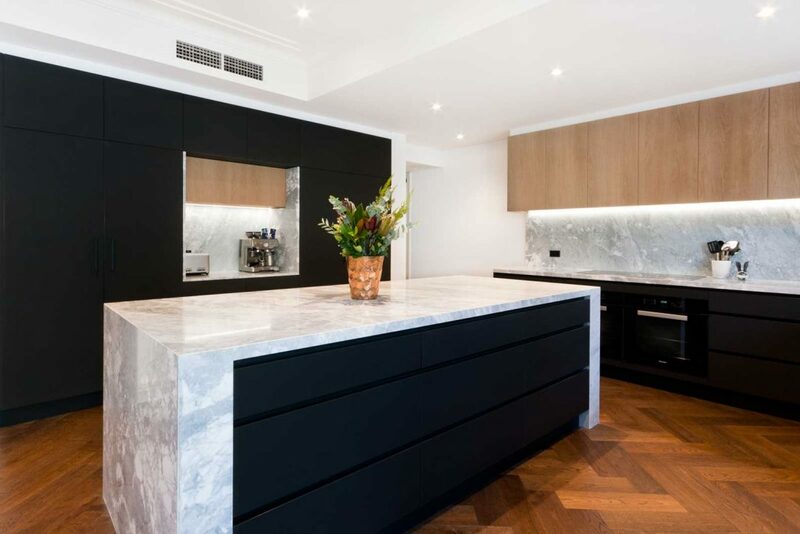 The island benchtop was included for optimum functionality. 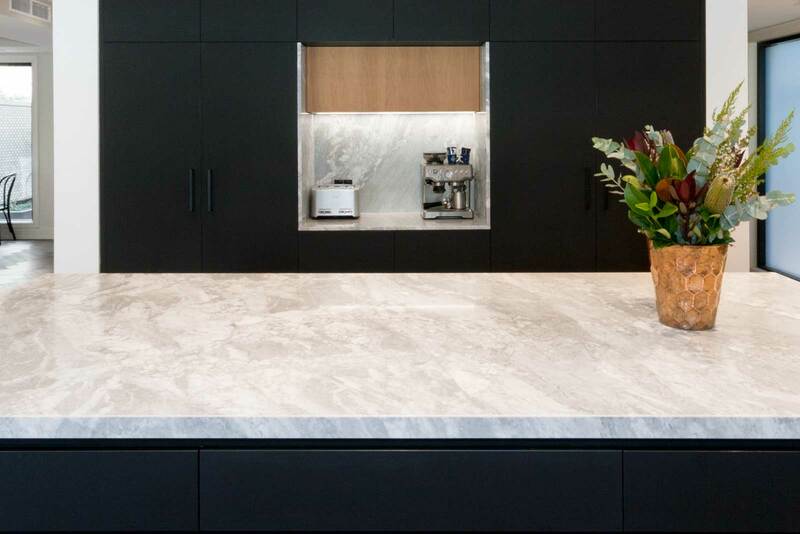 The gorgeous stone used for the benchtop was also wrapped around the appliance area, injecting an extra element of luxuriousness to the space.